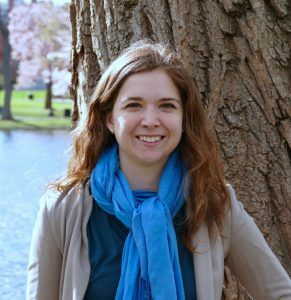 Dr. Alison Hill is a Research Fellow and independent principle investigator at Harvard University’s Program for Evolutionary Dynamics. She holds a NIH Director’s Early Independence Award and is a member of the John Harvard Distinguished Science Fellows program. Dr. Hill develops mathematical and computational tools to help better understand, predict, and treat infectious diseases, with a particular focus on human viral infections including HIV/AIDS. Hill received her PhD in 2013 through Harvard’s Biophysics Program and was a joint graduate student in the Harvard-MIT Division of Health-Sciences and Technology (HST)’s Medical Engineering and Medical Physics program. She received her undergraduate degree in Physics from Queen’s University in Ontario, Canada. Nearly 40 million people around the world are infected with HIV/AIDS, and the epidemic continues to grow. Antiretroviral drugs that have the potential to halt viral replication and prevent progression to AIDS are becoming increasingly available globally. Despite their promise, it remains a challenge to find optimal drugs combinations that can be taken daily for life without toxicities, the emergence of drug resistance, or lapses in adherence. I will present our work building mathematical models of viral spread and evolution within individuals to understand and predict treatment outcomes and guide the development of new therapies. These models combine the kinetics of drug levels in the body, the dynamics of active and latent HIV with drug-level-dependent infection rates, and mutation, selection, and competition between viral strains with different levels of drug resistance. 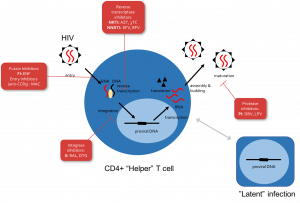 We integrate genetic, laboratory, clinical, and epidemiological data to describe drugs used either to treat existing infection or as pre-exposure prophylaxis. I will discuss how these models have helped us understand the specific properties of therapy that promote or hinder the emergence of drug resistance, how and when imperfect adherence to treatment impacts its efficacy, and the potential risks and benefits of new long-acting drug formulations. Beyond HIV, our approach is adaptable to other rapidly evolving-microbial infections and can be used to connect within-host dynamics to population scale models of epidemics.